When a team beats you five times and you beat them zero times, that is a pretty good indicator of who the better team is. This is the case after saturday as the West Allis Nationals season ended at the hands of their cross-town rivals, the White Sox. Game 1 started promising enough with ex-National Tim Ustruck could not find the strike zone for his short-lived outing. The Nats got a 5 run lead going into the 4th off Ustruck, but the Sox never quit. Closing the gap as the game went along, the Sox finally tied the game at 6-6 and took the lead going into the 7th. With the score 7-6, in the top of the 7th, the Nats put a runner on 2nd with no one out, and P/Illegal player Jim Jungbauer grounded out to 2nd, moving the runner up to 3rd. After Sox coach Joel Meier came out to protest the runner was forced to go back to 2nd and Jungbauer was declared out. With 2 outs and a runner at 2nd Rookie 2B Mike Kenseth (UW-Whitewater) came up huge with a base hit to center off of Brian Long (Carthage), to tie the game up. CF Adam Karas reached base as did SS Andy Gerharz (UWM) after he was hit by a pitch. This loaded the bases with 2 outs and Long was replaced with eventual game 1 and game 2 winner Jeff Livek (Carthage). Livek recorded a strikeout to end the inning. In the bottom of the 7th Rookie 1B Paul Horvatin hit a deep fly-ball to left center off of reliever Alex Franson and it landed at the base of the wall, scoring the walk off run for the Sox. Game 2, the Nationals jumped out to a 2-0 lead off of Livek, when Rookie 3B Jeff Donovan (UW-Whitewater) drove in 2 with a single through the right side. This was all that the Nats could get off Livek, who didn't have his best stuff, but had enough to get through the game without any other major threats. Lost in the game was a great pitching performance by Tim Spata, who more than kept his team in the game, but it wasn't to be. The White Sox came back and took the lead 4-2 and didn't ever relinquish it. The season concluded with a 14-15 record, surprising considering the sub-.500 record came from a team that almost won the league. It just goes to show that the future is bright for the Nats, who have a young core of players, along with valuable veteran leadership. I guess the champaigne, the blatz and hammes and the baseball are at rest for another calander year. 2007 is the year to again dig it up, so everyone get right back to the cages, hit the track and start drinking your protein shakes, the season is only 9 months away! Overcoming a slow, and potentially disasterous, start, the West Allis Nationals battled valienty to earn the Langsdorf League Title on Tuesday night. After falling behind 3-0, the squad hammered home 9 unanswered runs en route to a 9-5 victory. The championship over the Angels served as sweet redemption. The Angels defeated the Nationals 3-2 in game three of the 2003 Championship Series. James Herkowski started the Nationals comeback with a single in the bottom of the second inning. After Steve Schulte reached on an error, Mike Wajerski singled to load the bases. The next hitter, Kellen Haynes, battled Angels starting pitcher, Aaron Martinez, through a 7 pitch at bat before lining a shot to the gap in left center field. Herkowski and Schulte scored easily, and when Haynes induced a rundown between first and second, Wajerski took off for the plate and scored a third run to tie the game. The team kept the pressure on in the third. By maintaining a deliberate and patient plate approach, Martinez pitch count climbed. Having pitched 7 innings just two days earlier, he began to wear. With two outs, Jared Stengal singled and Alex Franson drew a 6 pitch walk. James Herkowski then came through with a clutch 0-2 single to right, scoring Stengal. The next batter, Steve Schulte, hit a chopper to third that was misplayed, allowing a second run to score in the inning. Up 5-3, starter Corey Berndsen began to settle down. He held the Angels scoreless in the third, fourth, fifth, and sixth innings with the help of two double plays. The game was broken open in the fifth when the Nationals pushed three more runs across. Jared Stengal led off with a double and scored on an Alex Franson single. After a four pitch walk to James Herkowski, Steve Schulte laid down an 0-1 sacrifice bunt. Though fielded cleanly by Martinez, his throw sailed into right field scoring Franson. Schulte scored the final run of the inning on another Angel miscue. Catcher Trevor Koepp attempted a pick off throw to third which flew into left field. An insurance run was added in the sixth. Mike Wajerski hit a weak ground ball with two outs and the bases loaded that was kicked by the shortstop. After allowing a two run Angel comeback in the seventh, Corey Berndsen gave way to Curt Pryal. Pryal pitched two scoreless innings to close the game. The victory earns the Nationals a berth in the Wisconsin State League tournament this weekend in Manitowoc. They will play games against Appleton (10am) and Janesville (12pm) on Saturday and Sheboygan (12pm) on Sunday. Should the team win the majority of its games in this "Pool" play, it will play for the championship at 4pm. Just wait until 2005 is the new rallying cry for the Nationals. Despite missing the core of their lineup, the Racine Kiwanis came out of the gates strong on Friday night. Nationals starting pitcher Joe Kissler struggled with command and the boys from the south took advantage. If you were a fan of either side it was a tough game to watch. Every pitch and every play had the potential to win or lose the game. Neither side blinked, but the Nationals did come up one play short, losing to the Milwaukee Angels 3-2 in the Milwaukee County Championship game. Tom Donovan put the Nationals on the board first with a towering home run in the fourth inning. The Angels countered with two runs of their own, however, to take a 2-1 lead. After several rallies stalled prematurely, the Nationals finally knotted the game in the seventh inning. Mike Wajerski drew a two out walk, stole second, and scored on a line single to left center by Jake Paige. Paige advanced to second on the throw home, but was stranded to end the inning. The Angels responded by scoring the deciding run in their half of the inning on D.T. Nokovic's second RBI of the contest. The Nationals again pressured Angels starting pitcher, Nate Schwartz, in the eighth. With two down, James Herkowski and Brian Gibson drew walks, but Jim Dettman's ground ball in hole at short was fielded cleanly and Gibson was forced at second. A disputed third strike call on red-hot Mike Wajerski took the wind out of the team in the ninth. Wajerski, who to that point had two singles, a walk, and three steals, was rung up on a low and away curveball. The Nationals opted for a pitcher by committee strategy in the contest. Starter Tim Spata went the first four innings, allowing two runs. Tim Ustruck followed with two and one third innings, allowing one run, and Pat Bovee threw the last inning and two thirds, holding the Angels scoreless. The Nationals completed another fine season with a 21-11 overall record (15-5 league) and stable of young, battle-tested talent. Players will be honored at the team's annual Golf Outing and Picnic on SUNDAY AUGUST 31 at MADISON PARK GOLF COURSE. The 2002 Nationals came up one game short of a third consecutive Milwaukee County championship, losing the deciding game of a three game series 12-2. 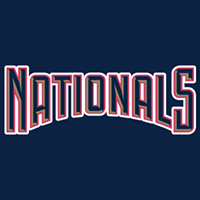 The Nationals finished the season with a 15-5 league record and 20-10 overall. The Nationals successfully defended their Milwaukee County Minor League Title in 2001 with 4 impressive playoff triumphs. On August 4 the Nats defeated their cross town rivals, the White Sox, in the Division Championship Series. Jimmy Dettman, Nick Kibler, and Tim Spata allowed a total of only 2 runs during the evening as the Nationals won by scores of 8-2 and 11-0. On August 11 the Nats faced a rematch with the North Division champion Dodgers. Again the team was up for the challenge defeating the Dodgers by scores of 2-0 and 15-7. Jimmy Dettman's two hit shutout in game one will be remembered as one of the finest big game performances in franchise history. The West Allis Nationals celebrated their 25th season in league play by defeating Fritz Dodgers two games to none in a playoff series last August. The Grand Championship was the 6th in team history, and first since 1990. Overall the Nationals have 10 first place division finishes in their history. For more information, please see "Pre-2001 Stats" and access "All Time Record."